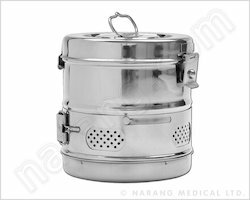 Manufacturer of a wide range of products which include hospital holloware, patient care utensils, suction apparatus and dressing drum. 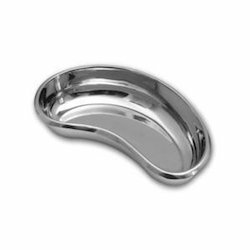 With our rich industry experience in this field, we are engrossed in providing a qualitative Patient Care Utensils. The given product is used for providing aid to handicapped, disabled, bedridden patients. This product is developed using high quality material & leading techniques in accordance with industry standard. In addition, the product offered by us is passed through a series of practical tests so as to supply a defect free range. Suction Apparatus offered is designed and developed as per approved medical standards and find usage in medical wards and operation theaters for aspirating fluids and presence of vomit from airways and mouth areas. 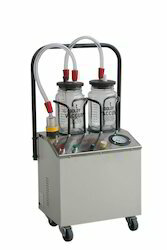 The equipment works by sucking material through catheter into bottle where it is collected for further disposal. Some of its features include electric suction unit comprising vacuum pump, trap for moisture, bacterial filter, vacuum gauge and other functional components, provides for high/low vacuum/flow rates, backed by rigorous test procedures for assuring trouble free performance and others. Dressing Drum offeredcomprises precision designed and finished stainless steel dressing drums that come in seamless construction finish in different size option to choose from. 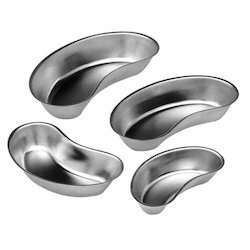 For easier handling, these come with handle support provided on the domed top, drop down-hasps and other options. Some of its features include specially designed cover with latches with self locking support, providing for superior durability and corrosion resistance support, developed using heavy duty medical grade stainless steel metal and others. Looking for Surgical Holloware ?